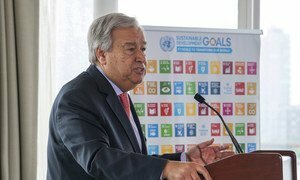 Last year, United Nations Secretary-General Antonio Guterres issued “a red alert” over a range of dangers confronting the world, which “still persist” as 2019 looms: “These are anxious times for many, and our world is undergoing a stress test,” the UN chief on 28 December 2018 said in his message for the New Year. He reiterated one of his clarion calls during 2018 over climate change, saying that it was still “running faster than we are,” and that deepening geo-political divisions are making conflicts more difficult to resolve. 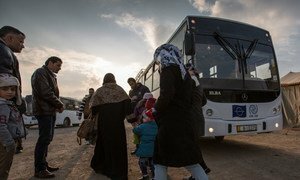 Record numbers of people are moving in search of safety and protection, inequality is growing and “people are questioning a world in which a handful of people hold the same wealth as half of humanity,” he said. Moreover, he stated that intolerance was on the rise while trust is declining. “But”, Guterres continued, “there are also reasons for hope”, notably in Yemen where breakthrough talks have created an opportunity at least, for peace. The Secretary-General also cited the September agreement signed in Riyadh between Ethiopia and Eritrea, which has eased long-running tensions and brought improved prospects to an entire region as cause for optimism. The UN was also able to bring countries together in Katowice, Poland, to agree on a programme to implement the Paris Agreement on climate change. “When international cooperation works, the world wins”, the UN chief stressed. He maintained that in 2019, the UN “will continue to bring people together to build bridges and create space for solutions” , keeping up the pressure for change. “As we begin this New Year, let’s resolve to confront threats, defend human dignity and build a better future – together,” concluded the Secretary-General, wishing the world a peaceful, prosperous and healthy 2019. (SOURCE: UN News).